BBDO's execution of the ad is more or less genius, complete with cheesy theme music and zippy montage. Godzilla himself is styled as an oversize action figure, more like Bobcat Goldthwait's tiny-town-wrecking incarnation in One Crazy Summer than Hollywood's city-stomping terror lizard. 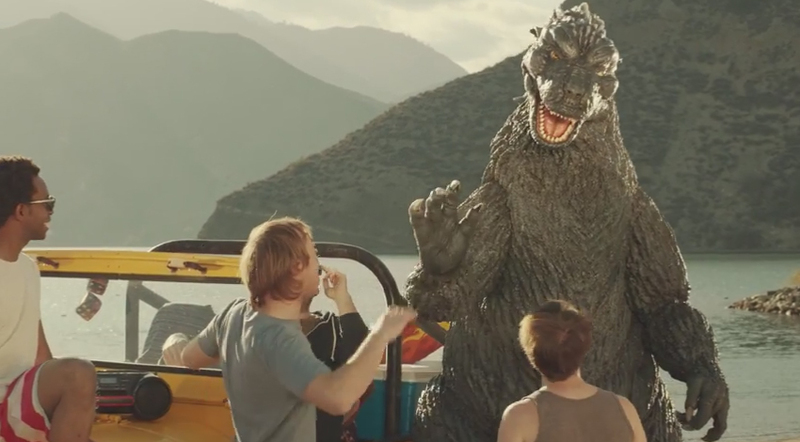 I suppose we should be glad the "real" Godzilla isn't such a good guy with a sweet tooth for nougat. If he were really that easy to calm down, it wouldn't make for much of a movie.